A controversial provision within Scottsdale's zoning code allows developers to get "bonuses" of extra building height and density in exchange for certain public benefits. SoHo Scottsdale on the corner of 92nd Street and Bahia Drive has taken advantage of this provision. (Photo: Cheryl Evans/The Republic. At least a dozen Scottsdale development projects have taken advantage of a lesser-known provision in the city's zoning code that allows taller buildings and greater density in exchange for public art and other improvements since the ordinance was adopted five years ago, records show. A seven-story office tower planned for downtown will be 30 feet taller than zoning would typically allow.  An apartment complex on Scottsdale Road was granted 33 additional units. A mixed-use development under construction near WestWorld is rising 65 feet, standing taller than any of its surroundings. In a community where many residents take pride in a skyline dominated by desert mountains rather than skyscrapers, an influx of urban-style development in recent years has sparked backlash and taken center stage during political campaigns. Critics say the City Council is giving away Scottsdale's unique flavor. Others say the developments are bringing renewed vitality to aging neighborhoods. The idea to generate public art funding through private developer contributions dates back to the 1980s in Scottsdale, when the City Council approved an ordinance that required certain large-scale projects to donate 1 percent of their capital cost, according to city planner Dan Symer. While that requirement continues today, the city in 2012 added the provision outlining potential height and density bonuses for downtown developers willing to pay more. In 2013, such bonuses were extended to projects within the Airpark area, too. City planners have fielded 94 general zoning requests since the start of 2013, but only a handful have sought height or density bonuses. The provision rarely generates public debate, but is concerning to some, including Scottsdale City Councilman David Smith. "We should not have an ordinance that announces Scottsdale's zoning requirements are for sale," Smith told The Republic. "We should be willing to work with developers to solve individual, unique site problems. 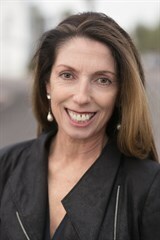 In return, we must negotiate a meaningful return for our client — the citizens of Scottsdale." So far, the return for Scottsdale taxpayers has included millions of dollars from developers for special improvements intended to benefit the public. That has included art pieces, energy-efficient buildings, sidewalk improvements, buried power lines and cash payments into a city trust fund. Sometimes, however, it's the private developments themselves that benefit the most from the public improvements. Sculptures can be erected within the project's own courtyard. Energy efficiency becomes a selling point that increases a residential unit's sales appeal. "Too often, the public art that is accepted in return for zoning variances is actually private art installed primarily for the benefit of residents or employees associated with an approved project," Smith said. "This is particularly unfair to our citizens at large." Several oversized Lego-style sculptures weighing more than 1,800 pounds each will soon arrive at Soho Scottsdale, a swanky loft and townhouse project at Bahia Drive and 92nd Street. The bricks — available in red, yellow, purple, green and blue — are part of the developer's public art commitment that landed the project a bonus for taller and bigger buildings. 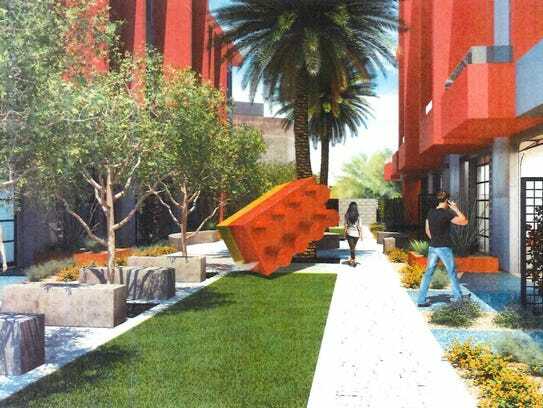 Soho Scottsdale's Lego blocks will adorn landscaped areas mostly on the exterior of the development, so they'll be visible to people passing through the surrounding business park. Tucked out of sight from any major thoroughfare, though, the project could easily escape the gaze of most Scottsdale residents. In addition to the sculptures, four murals by local artist Lauren Lee will help draw people to Soho Scottsdale, and the project will feature artistically-designed concrete on sidewalks and courtyards, according to developer Irene Clary. "It will be an environment that isn't just a stark development," Clary said. "It will have color and it will have culture." When the City Council initially awarded zoning bonuses for Clary's project in 2014, the developer agreed to pay for $800,000 of infrastructure in and around the WestWorld event center, including an acoustic wall for the event hall and landscaping at the equestrian center. That changed a year later when the city altered the plan to allow on-site public art instead, along with compliance with the International Green Construction Code. "So, not only did we get the density and height, we got the ability to utilize the funds that we gave and really put the public art on our site," Clary said. The project includes some commercial space in a "live-work" environment, which provided justification for putting the public art on private property, she said. Soho Scottsdale's first model units are expected to open in March, and the first residents could move in this summer, Clary said. A four-story apartment complex called Alta Osborn won approval from the Scottsdale City Council in November, including a development bonus that allows Texas-based Wood Partners to build 277 units instead of the 244 permitted by the zoning code. The project will replace the vacant Luxor Auto Group dealership on Scottsdale Road north of Earll Drive and feature a pool area, 7,000-square-foot clubhouse and 3,000-square-foot fitness center.